Beberapa pekan lalu ikut kajian tentang berbagi pengalaman terkait Pajak di Jepang dan berbagai bentuk kemudahan dan variasi penyalurannya. Salah satu yang cukup menarik perhatian saya adalah tentang Furusato Nouzei (ふるさと納税) atau pembayaran pajak ke Kampung Halaman. Furusato nozei adalah pengalihan sebagain pembayaran pajak oleh orang-orang yang tinggal di perkotaan ke daerah-daerah dengan maksud untuk menggerakkan ekonomi di daerah yang memiliki hak otonomi di Jepang. Hal ini dikarenakan di daerah-daerah saat ini populasi orang tua-tua meningkat (bukan usia produktif pajak) sehingga pendapatan pajaknya menurun sedangkan di kota pendapatan pajaknya naik sehingga perlu diratakan dengan furusato nozei. Kabarnya, Furusato nozei sudah berlaku cukup lama di Jepang, hanya saja mulai tahun 2016 ketika ada perubahan atauran dan administrasi, proses pengajuannya menjadi jauh lebih mudah. Banyak orang yang menggunakan furusato nozei. Salah satu yang menarik sehingga furusato nozei banyak diminati adalah adanya tanda terima kasih dari kota yang menerima pajak kita berupa barang-barang yang nilai pasarnya bisa cukup tinggi mencapai sekitar 30-40 persen bahkan ada yang sampai 50 persen dari donasi yang kita berikan. Kemudahan aplikasi Furusato Nouzei semakin terbantu dengan fasilitas belanja online dari Rakuten. Ada banyak pilihan yang bisa disesuaikan dengan minat dan kebutuhan kita. Nah, karena saya sangat suka mengkonsumsi buah Nashi (pear Jepang), pilihan saya jatuh pada salah satu kota yang menyediakan paket Furusato Nouzei seharga 10,000 Yen dengan hadiah berupa buah pear sekitar 5-6kg (kurang lebih 9 butir buah pear Jepang ukuran besar). Saya pun memberanikan diri untuk membeli paket tersebut secara online. Sekitar 1 bulan kemudian, paket buah pear Jepang yang saya beli dari Rakuten Furusato Nouzei pun tiba di rumah. Ternyata di luar perkiraan, buah pear Jepang yang dikirimkan ukurannya besar-besar dan ranum. Terima kasih Furusato Nouzei! Berangkat Haji maupun Umrah dari Jepang merupakan rezeki yang dobel dobel menurut saya, alhamdulillah..
Menambah Saudara Islam, jamaah dari beraneka macam rupa, dari bahasa, negara,(Indonesia, Malaysia, India, Pakistan, Bangladesh, Persia, Jepang asli ^^, dan Cina Muslim) otomatis jadi harus bisa bahasa jepang dan inggris, walaupun jamaah Indonesia juga banyak , tapi klo cuma ngobrol sesama Indoneia-ers gak gaul kita hehe.. The content of the template is explained below ( I just copy and past Stefan’s web page). The template holds dummy text with examples for creating tables, figures, index and glossary. I changed (but not necessarily improved) the standard latex layout by using bars over chapter titles etc. 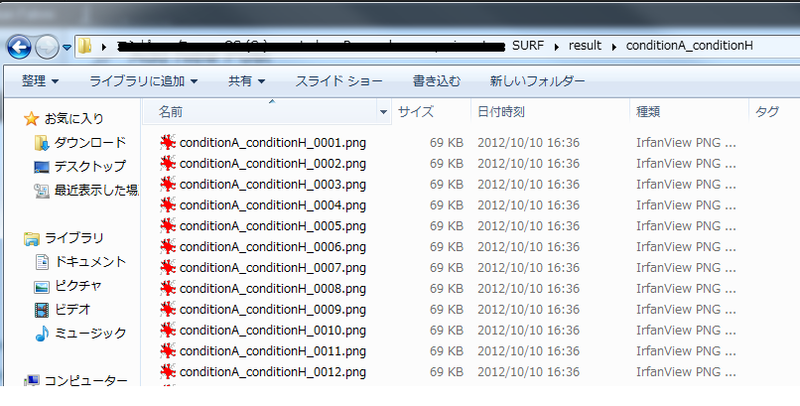 This can be easily undone by deleting thesis.cls and changing in thesis.tex style thesis to style report. You are welcome to send me comments – Stefan Schaeckeler <sschaeck (at) engr.scu.edu>. FFmpeg is a light and complete, cross-platform solution to record, convert and stream audio and video. This software is free and and powerful to use especially when you are about to work with images and videos. There are tons of tutorial you may find on the internet (here, or may be here). As a FFmpeg-beginner I would love to share my experience on combining numerous images in one folder to be compiled into a movie (for example “.avi” format video, etc). ffmpeg -i input.mpg -f image2 -vcodec mjpeg (-qscale 1 -qmin 1 -qmax 1) (-ss 1.5 -t 10.5) "imgFrame%06d.jpg"
Recently, I stumbled upon an interesting book on the topic of entrepreneur and creativity. Without thinking too much, I just went to Amazon and purchased the book. The tittle is “What I Wish I Knew When I Was 20: A Crash Course on Making Your Place in the World” by Tina Seelig. Yet, I am still on the way reading the entire stories. They are interesting to read because Tina Seelig points out each sections by telling about her experience during her class at Stanford University or stories about her family. – Story on the “Five-Dollars Challenge”, a success way in teaching students about having an entrepreneurial mind-set. The mission is about to multiply a 5 dollars envelope to be as much profit as possible within a very limited time. The much money they get, the better they accomplish the mission. Yet, Tina also quoted that sometime the Value is not always measured in terms of financial rewards. – The points are: identifying opportunities, challenging assumptions, leveraging the limited resources. – “The bigger the problem, the bigger the opportunity. Nobody will pay you to solve a non-problem.” Vinod Khosla, co-founder of Sun Microsystem. – We can challenge ourselves every single day. That is, we can choose to view the world through different lenses– lenses that allow us to see problems in a new light. The more we take on problems, the more confident and proficient we become at solving them. And the better able we are to see them as opportunities. – The more experience you have tackling problems, the more confident you become that you can find a solution. – One of the biggest obstacles to taking on “impossible tasks” is that others are often quick to tell you they can’t be accomplished. It is arguably tough to address a grand problem. But once you decide to take it on, it is equally hard to break out of traditional approaches to solving it. This is another place where it is helpful to break a few rules. In other words, we need to “BREAK THE RULES!”. – The world is divided into people who wait for others to give them permission to do the things they want to do and people who grant them selves permission. Some look inside themselves for motivation and others wait to be pushed forward by outside forces. – Ideas just waiting for someone to exploit them. – Story of Michael Dearing that implemented the new method on selling products in eBay. He introduced the idea to put photos in eBay. He found that products with accompanying photos sold faster and at a higher price than products without photos. – People who get to the top work harder than those around them, they have more energy that propels them forward, and they’re markedly more driven to get there. – If you want a leadership role, then take on leadership roles. Just give yourself permission to do so. Look around for holes in your organization, ask for what you want, find ways to leverage your skills and experiences, be willing to make the first move, and stretch beyond what you’ve done before. – There are always opportunities waiting to be exploited. Instead of waiting to be asked and tiptoeing around an opportunity, seize it! It takes hard work, energy, and drive –but these are the assets that set leaders apart from who wait for others to anoint them. 9. Will This Be on the Exam?